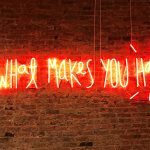 Have you ever considered lighting up your life, and business with a neon sign? Well, congratulations – just thinking about it, has already put you ahead of the curve. Neon signs are an incredibly influential tool when it comes to attracting customers to your business. What’s more, they also give you a competitive advantage over other retailers. Why? Because custom-made neon signs not only give your business exposure, they generate buzz. From LED Flex, to design best practices, and costs here is what you need to know about neon. What are LED Flex Neon signs? When one thinks of LED Flex Neon, one should think of efficiency, innovation, and flexibility. LED Flex has revolutionised the world of neon signs. In the dark times of the olden days, neon lighting was traditionally made of glass and relied on a combination of neon and argon gas. This meant the signage was highly fragile, and rigid in structure. LED Flex changed this. These signs only use LED, making the signage more energy efficient and cost-effective to run. They’re also extremely flexible, and considered unbreakable, so they can be moulded into a variety of shapes. But wait, it gets better. They’re also MUCH easier to install. Traditional signs needed to be installed by lighting experts, however LED Flex installation is considered “entry level”, which means that every man, woman and their pet dog can set things up. All you need is a wall to hang it on, and a power point to run things on. What’s not to love about that?! Look, we’ll forgive you for thinking that the novelty of neon signs should have worn off by now. They have been around since 1910 after all. It’s easy to fall into this outdated way of thinking, but it’s so wrong. Neon signs are still as wow-inducing, as the day Georges Claude, a French physicist and chemist, debuted them at the Paris Motor Show well over 100 years ago. Neon signs speak for themselves. They make an attractive first impression, with their flashing lights and bright colours. When you add this to their ability to be moulded into any shape, it makes it difficult for potential customers not to notice. Neon is so appealing that 68 per cent of participants in a survey conducted by Ketchum Global Research said that they bought a product or service just because a sign caught their eyes! The stats don’t lie. 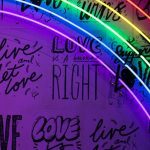 A well-made neon sign can generate its own following on social media, particularly on Instagram. If done right, potential customers will travel to your store JUST to take photos of your installation. Entire accounts are dedicated just to neon, from Neon New York City to Neon Culture. There is also a slew of hash tags you can use to capitalize on the trend, a few of these include, #neon, #neonsign #neondreams. Neon lights are low energy and can help save an estimated 50 to 70 percent energy when compared to traditional lights. A typical LED neon light’s power consumption is a mere 150 watts. They also don’t emit any heat. This them eco-friendlier, cost effective and safe to use indoors and in bedrooms. The wins just keep on coming! As neon signs are cheap to run, you can use them to advertise your business all night long, which builds brand awareness…obviously. Now, who wouldn’t want their business to be visible throughout the day and night? LED Flex Neon signs are extremely flexible and can be moulded into any shape and design easily. The possibilities here are endless, whether you want to recreate your logo, a symbol, or an inspirational quote. Whatever your inclination, make sure the design is unique and memorable, so it catches peoples’ attention. When they’re properly designed neon lights can last for an age. Typically, neon lights last longer than ten years and when they do fail, electrical wiring deterioration isusually the cause. Now, that is what we call bang for your buck! So, we’ve talked about the benefits of neon signs for your business, but to reap the rewards your design needs to make an impact. Let’s play a game. It’s hard to see how you’d stand out, right? It’s tricky, but it’s not impossible. Now, chances are you’re not actually going to be advertising in Times Square, but this way of thinking should guide your design process. Even if you’re the only business on the street with neon, your sign should ALWAYS offer something extra to the public. It should serve to inspire as well as inform, so don’t be afraid to think outside the box. Logos are an obvious choice when it comes to advertising but there are other options that you can use to showcase your business. Drawing on a related symbol, or quote can be just as influential, and can generate that social media buzz we previously mentioned. Ideally, at the start of the design process you should ask yourself, “what will get people coming into your shop to take photos of your sign?” We hate to break it to you, but unless your logo or business name is very slick, chances are people aren’t going to put it on their ‘gram. So, don’t be afraid to be a bit abstract. For instance, say you want to advertise a boutique motorcycle shop, niche I know, but bear with us. Rather than simply going with the name of your business, you could employ a quote like “easy rider” or an actual motorbike. For a florist, why not use an in-vogue plant like a monster leaf in green, or the phrase, “welcome to the jungle.” For a hairdresser, you could go with a quote such as “time for the chop”. These are inherently more inspiring and are more likely to standout to a passer-by and gain traction on social media. The only limit is your creativity. If you do want to stick to a more traditional design, you could also consider writing outyour brand’s name in a stylish typeface and colour, such as the HairCartel in Bondi have done. They’ve gone with a stylish pink option, which is a huge trend right now, and have off-set that with minimal, sleek interiors. The result is a sign that stands out and imbues you with a sense of style and cleanliness; associations you’d want from an expensive hairdresser, right? Remember, your sign is one of the first impressions people will get of your business, and the associations you create are powerful. The whole picture is key here. You also want your interiors to match, or compliment your neon sign. Due to the bright, colourful nature of neon they’re best offset by block neutral colours, such as white, black, stone and beige. Your sign should always be the focal point of any room, so don’t complicate the space with other hero pieces. Now, while you are only limited by your creativity there are some other design best practices you must adhere to. The most important thing is to KEEP DESIGNS MINIMAL. Neon is a clean sleek look, that works best with outlines, and simple shapes and text. If designs are too complicated, it will look like a hot mess with all that colour and lighting. If you picked the bottom option, well done. If you chose the first then we probably can’t help you. Kidding, but it is really not nice. What have some other people done with neon? Neon is having a bit of a moment at the moment. Once something becomes an Instagram trend, it sticks around for a while and the same is especially true for neon. Signs will shine on for a while yet. Neon is proving so popular at the moment, that smaller variations are also hitting the market for homes. We’ve seen everything from cactus signs to stars, to love hearts. As signs are so customisable there is something for everyone. This neon wave has led to some extremely creative, and innovative works being produced. PICTURE: “One Tequila…” from Tico’s Tequila Bar, on the Lower East Side of New York. PICTURE: The naked woman PG’s bar in Newtown, Sydney. PICTURE: Leaf by The Oliver Gal Artist Co.
How long does it take to make a neon sign and how much are we talking? You may think designing and creating a custom neon sign would be expensive and time consuming. Well, we have good news for you. It isn’t. Here at Beyond Neon Signs we pride ourselves on our quality and our fast turn-around. Our design process has six-stages. The moment we receive a job we get started with production. Signage design and materials are prepared, then our Flex LED Lights are moulded into shape. Then we mount the lights onto an acrylic backing, which is simple for anyone to then hang. The fourth step is to connect and test the electrical wires, which is then followed by a quality control check to ensure that everything is working perfectly. Then last but not least, we ship it off to you. This whole process only takes three to four weeks. We even throw in a free remote-control dimmer for your signs. If you’re not quite sure what you’re after never fear. We also have an interactive neon simulator on our website, so you can play around with word-based options. You can choose from a variety of fonts, and a variety of colours. Be warned though, this fun little tool is addictive. 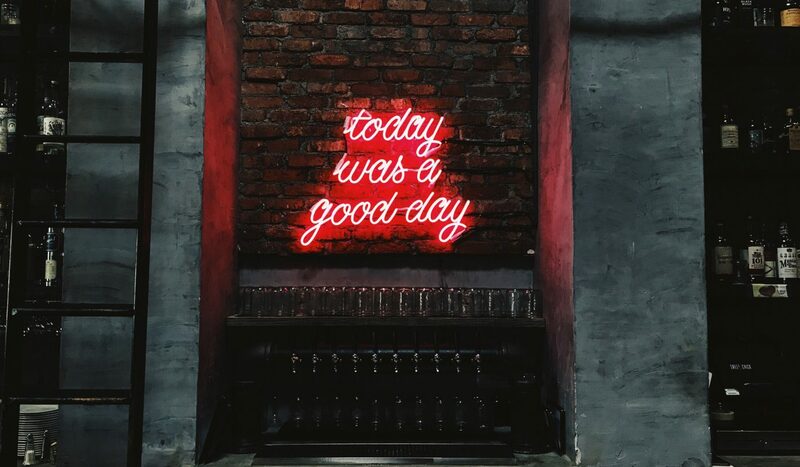 Alternatively, if you’re after a symbol, or logo design, an outdoor neon sign, or a font that is not on our website you can get in touch with us directly and we can discuss what you’re after. Here at Beyond Neon Signs, we live to see peoples’ vision and creativity come to life.